I don’t always review multiple hairstyles in a single entry. In fact, looking back through my archives (yes, I keep all of my blog posts—doesn’t everyone? ), I realize that I’ve never done so. So yeah, this is a first. 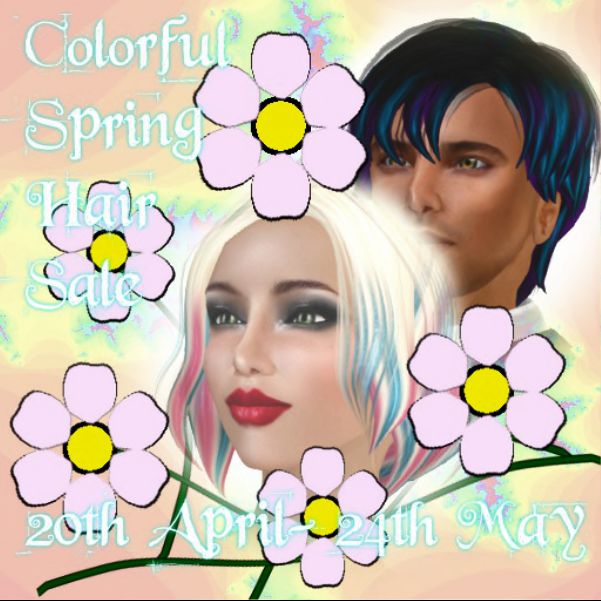 I’m referring to Alli&Ali’s Colorful Spring Hair Sale. There’s not enough room to write an individual review of each style—that would make for a long, boring post. But suffice it to say that there are 24 individual styles and colors, and as always, each on comes with its own color-changing and resizing HUD. Each style is only $99 Linden, so they’re priced for a quick sale. So TP on over to Alli&Ali’s Hair Design and shop ‘til you drop! Posted in Alli&Ali, HairTagged sale!